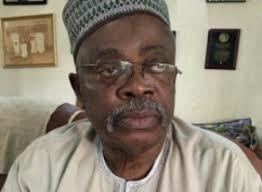 The Benue government on Monday dragged Alhaji Abubakar Tsav, former Lagos State Police Commissioner, before a Makurdi Chief Magistrate’s Court for allegedly writing an inciting letter against Gov. Samuel Ortom. Tsav is currently a member of the Public Complaints Commission (PCC) representing Benue. Mr Michael Gusa, Benue Attorney-General and Commissioner for Justice, in an application for criminal prosecution, alleged that Tsav wrote “an injurious and false letter against the governor and government of Benue”. Gusa, who was represented in court by Mr Andrew Wombo, a state counsel, said that the letter contravened section 143 (d), (c) and (e) of the criminal procedure code law of Benue State, 2004. “On May 16, 2017 Tsav wrote a letter to the Governor of Benue State captioned ‘Whistle Blowing: Stagnation of Benue State’, copies of which were sent to the Presidency, anti-graft agencies and the media. “The contents of the letter were published by some media houses; these contents are capable of inciting the public against the governor and the government,” Gusa told the court. When the case came up for mention, counsel to the defendant, Mr Anthony Agadah, told the court that his client was sick and could not appear before it. The counsel tendered a medical report to support his claim, and also moved a motion challenging the jurisdiction of the Court to entertain the matter. The Magistrate, Mr Isaac Ajim, adjourned the case to July 3, 2017 for hearing on the motion, and ordered that Tsav must appear on the said date. The News Agency of Nigeria (NAN) reports that the letter had accused Ortom of corruptly enriching himself, family members and friends with state resources, instead of executing projects that would address people’s needs.